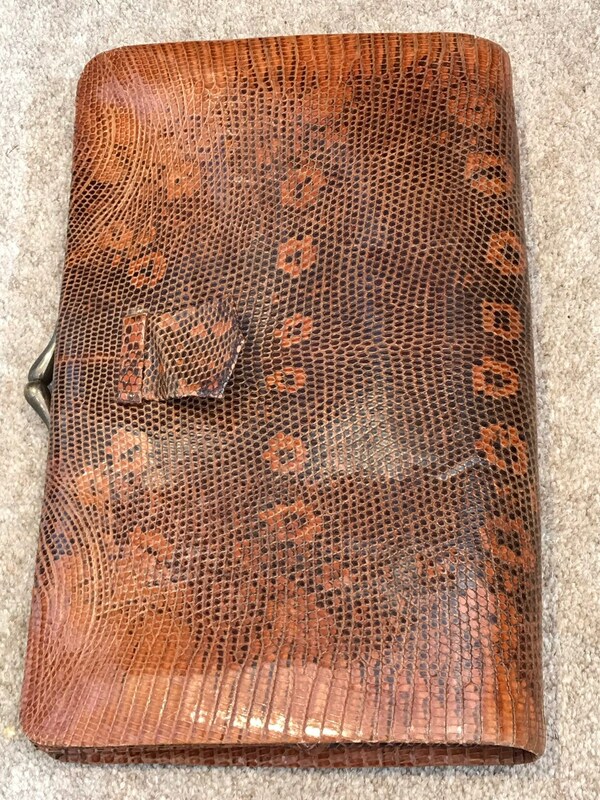 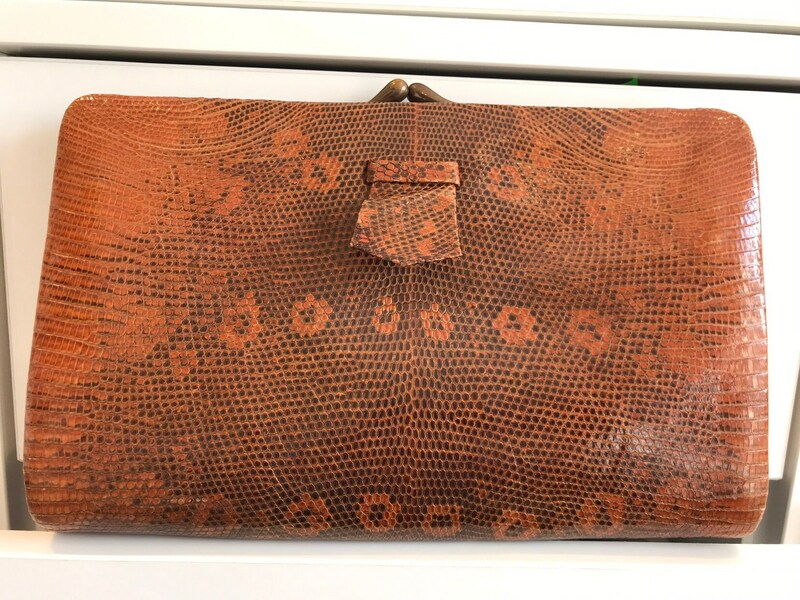 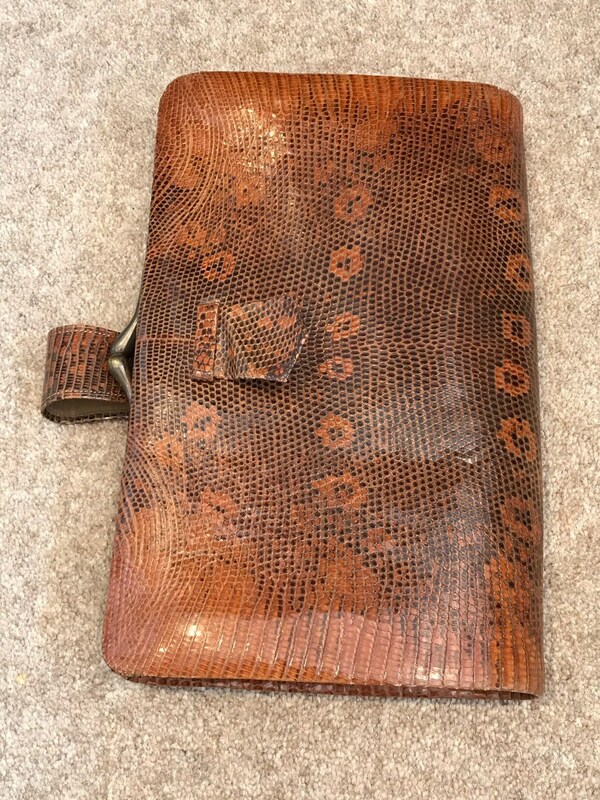 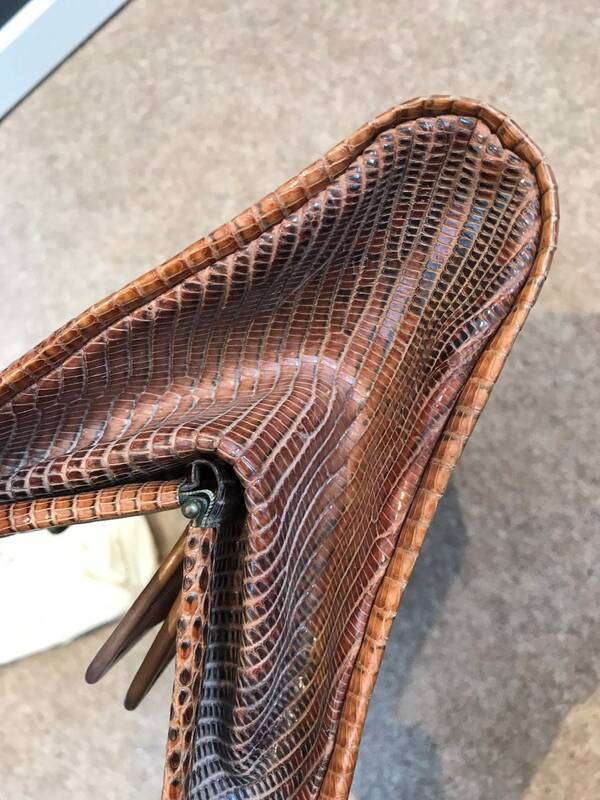 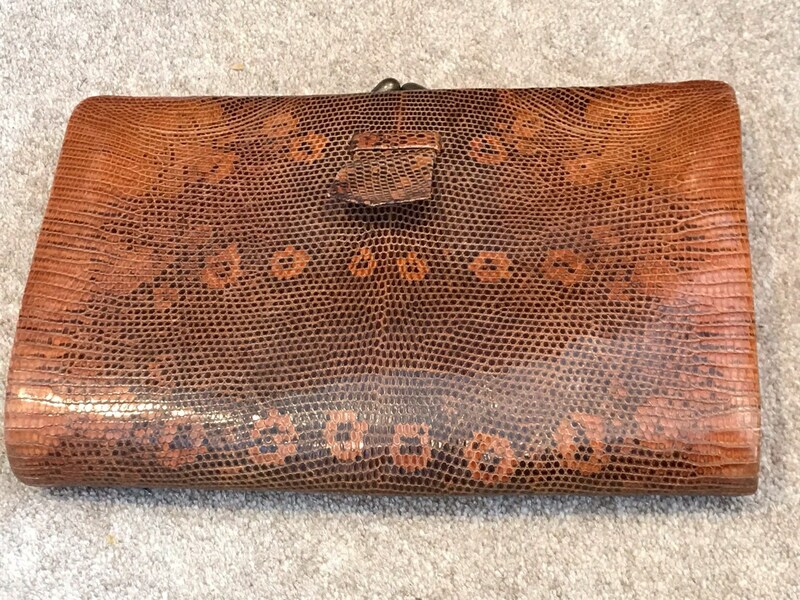 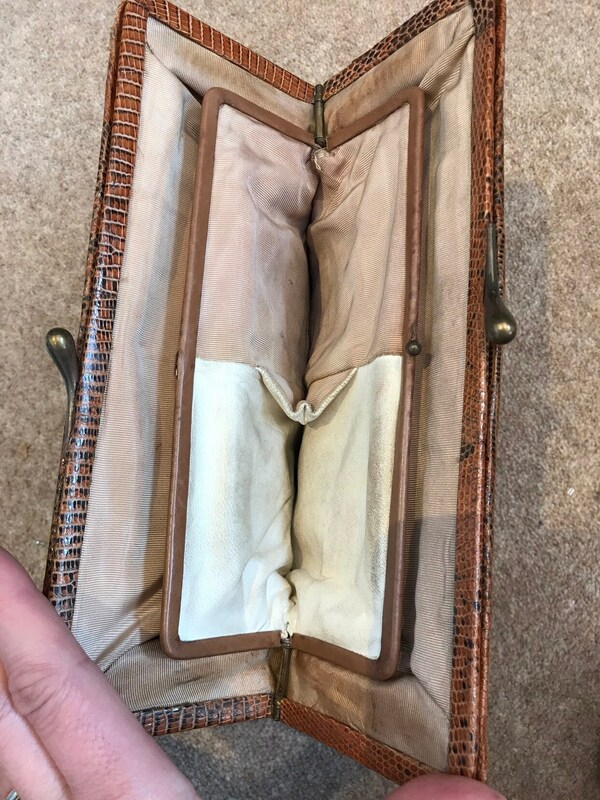 Here is a beautiful vintage dark tan snakes skin clutch bag. 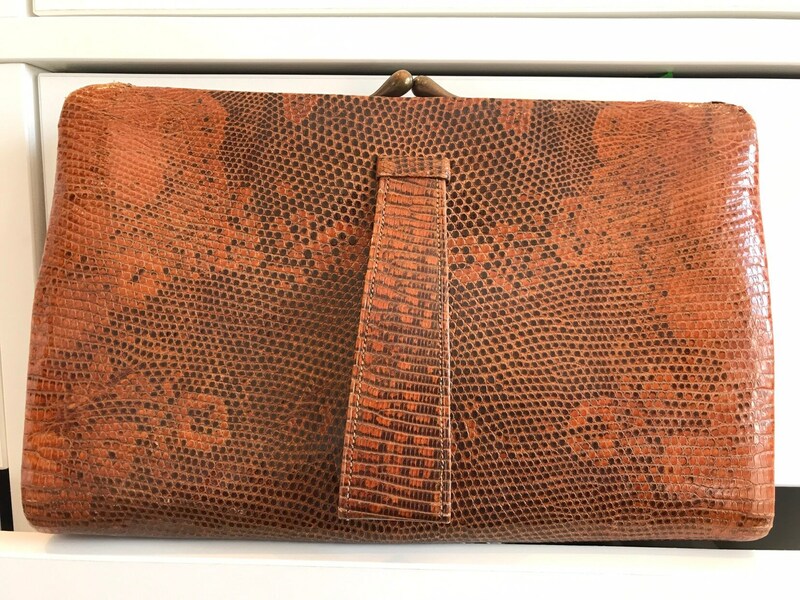 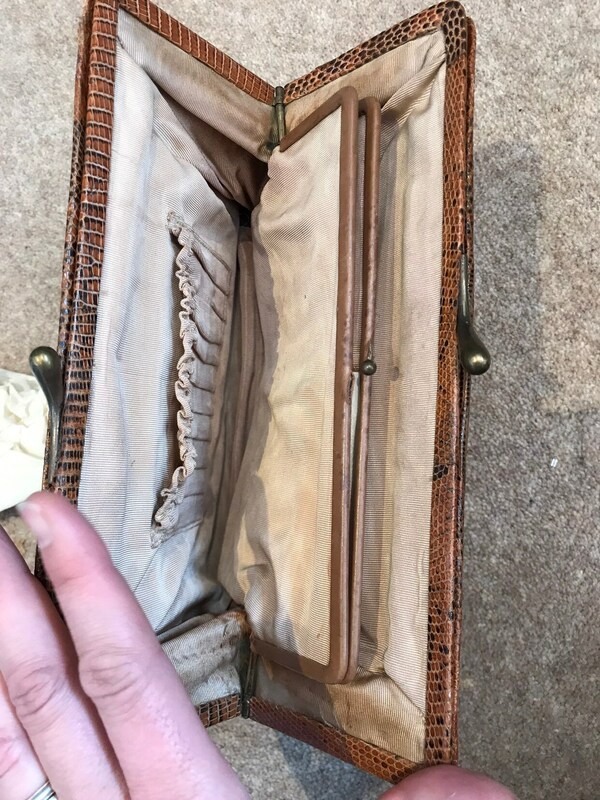 It is a lovely bag and is typically 1930-40s in its design with a wrist strap. 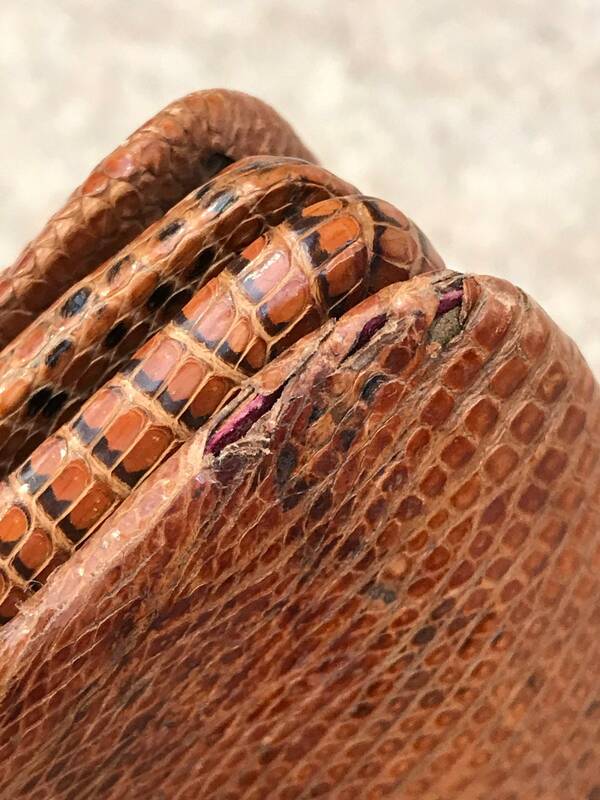 It measures 9.5 inches in length by a height of 6 inches. 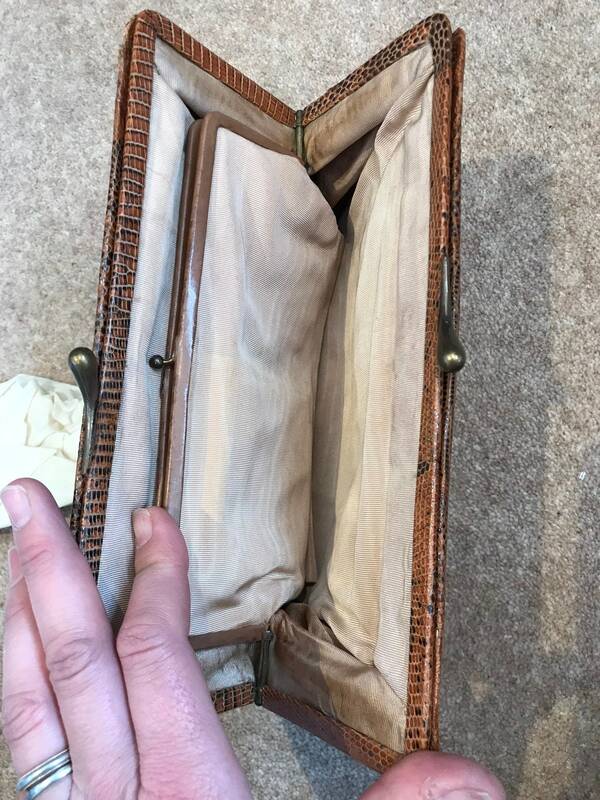 It remains in excellent condition unfortunately the snap closure on the inner compartment is broken and there is a very tiny bit of wear to the edge.